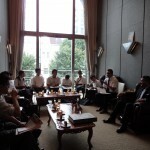 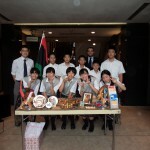 On 25th August 2015, 10 First Grade students accompanied by a teacher from Shohei Junior high school from Saitama Prefecture visited the Libyan Embassy among school activities to deepen the understanding about the world. 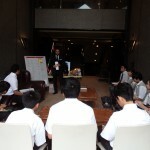 Mr. Abider, Media and Cultural officer gave an introductory lecture on Libya and exchanged the cultural differences between Libya and Japan. 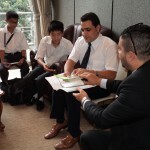 The students enjoyed the cultural exchange, learning Arabic language, Libyan food and customs. 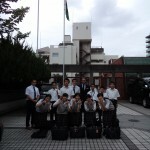 Finally Mr. Abider gave a small gift to each student for remembrance and took photo together.